Follow these steps to efficiently reorder your scenes on your stripboard. Are you looking to reorder your schedule? You've found the right place. You can either manually reorder your shooting schedule (scene strips), or auto-reorder to save time. Let's jump in. On your Stripboard page, click and hold the dragger next to a scene strip. 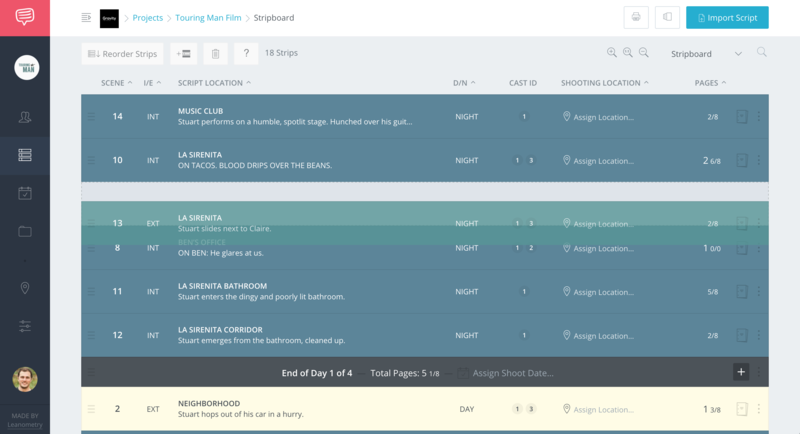 Continue dragging your scene and drop it in between another set of scenes. 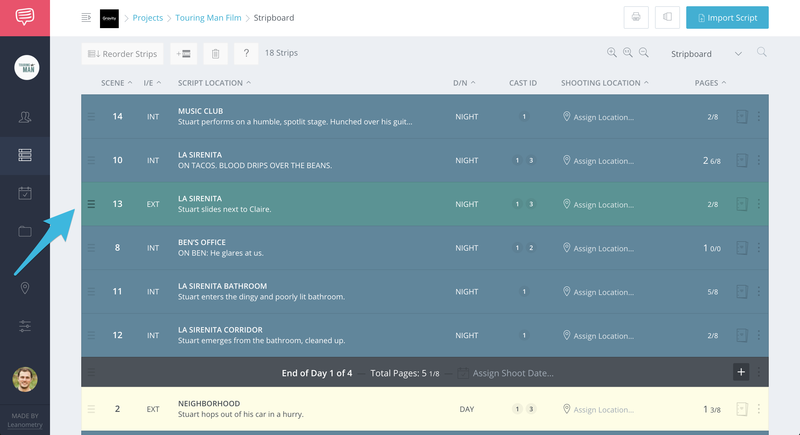 After you've dropped the scene to a new position, it will automatically save your changes.